is no small feat. She's like the kidlit jack-of-all-trades. Twelve-year-old Casey Snowden knows everything about being an umpire. His dad and grandfather run a New Jersey umpire school, Behind the Plate, and Casey lives and breathes baseball. Casey’s dream, however, is to be a reporter—objective, impartial, and fair, just like an ump. But when he stumbles upon a sensational story involving a former major league player in exile, he finds that the ethics of publishing it are cloudy at best. 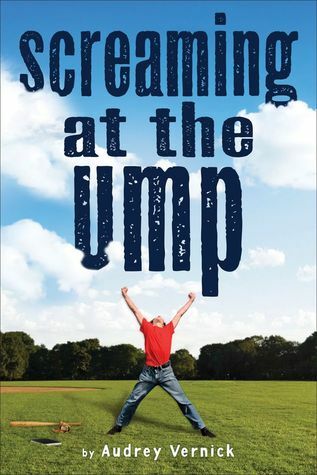 This emotionally charged coming-of-age novel about baseball, divorce, friendship, love, and compassion challenges its readers to consider all the angles before calling that strike. Now here's the thing: I hate baseball. I'm not going to even pretend I like it. But whenever I read an Audrey Vernick book, she makes me love the sport. So whether you love baseball or hate it, you should read it. And while you're at it, read Audrey's other books too, because she's awesome. I have this on reserve at the public library. Always need more baseball books, and this one sounds interesting.